The earliest records we have of Christian cooperation in Vermont are of Sunday schools. The first recorded gatherings were in the Greensboro home of Deacon Ashville Washburn in 1808. What started with his own family learning by heart portions of scripture and hymns expanded to include children of neighbors and friends. The gatherings grew as children from throughout the town joined in. This Sunday school attracted attention. Visitors from other towns came to see it, and among them was The Rev. Samuel Goddard, the pastor of the Congregational Church of Concord, Vermont, which was a few towns southeast of Greensboro in Essex County. In 1812, Rev. Goddard went on to start an organized Sunday School with officers and teachers who provided religious education to the children of the community. In 1817, after the Sunday School movement had spread to neighboring communities, the first Sunday School Convention was held in Deacon Ashville Washburn’s barn in Greensboro. This movement spread statewide, and in 1869 the Vermont Sunday School Association was organized in the city of Rutland. At first, the association mainly focused on holding annual conventions. Sunday school teachers would come together at this event and share experiences. Later, committees were appointed and began promoting year-round Christian education. County and district councils were then organized. The movement grew rapidly after World War I – for example, Windham County had ten Sunday School Associations. The name of the Vermont Sunday School Association changed to the Vermont Council of Religious Education in 1922. The Vermont School of Religious Education began at Vermont Academy in Saxtons River in 1922. It moved five years later to Montpelier, then moved to Poultney in 1932. Other ecumenical groups were also active in Vermont – mostly for children and youth. The Christian Endeavor Society was started in Portland, Maine in 1881, and some of these societies were active here. Also, the Protestant Youth Council had its first meeting in Woodstock in January 1931. Starting in 1937, the Christian Endeavor Societies and the Protestant Youth Council began to hold joint conventions each year during the Columbus Day holiday. Vermont Young People’s Institutes were also ecumenical and they had sessions in Poultney, Mississquoi, and Roxbury. The first Vacation Church School in Vermont was held in North Troy in 1928. This movement spread rapidly throughout the state. Much outreach work went into establishing this program. It helped provide for the social as well as the spiritual needs of many in the state. By 1953, the Summer Projects were ministering in 50 different parts of the state. Other work of the Vermont Church Council included a Choir Directors’ School, a Choir Library, and radio broadcasts. The Vermont Bible Society, which began in 1812, became part of the Vermont Church Council. Religious education teachers were added to the Council’s staff. These teachers worked during the week in rural one-room schools. One such teacher, Miss Addie Chamberlain, was working in 22 one-room schools in northern Caledonia county in 1945. These teachers ministered not only by providing religious education in areas where there weren’t any churches, they also helped meet material and health needs. Another ecumenical group, The United Council of Church Women, was organized in 1944 at a meeting in Montpelier. It was led by Dean Mary Jean Simpson of the University of Vermont. At the national and international levels, The Federal Council of the Churches of Christ in the United States began in 1908 and became the National Council of Churches in 1950. The World Council of Churches was founded in 1948. The Vermont Church Council continued into the 1960’s. Its membership included American Baptists, Episcopalians, Presbyterians, Friends (Quakers), United Methodists, and members of the United Church of Christ. Then from 1961 – 1968 Unitarian Universalists were admitted as members. This was a controversial decision that initiated much discussion about the nature of the organization – whether it was ecumenical and working for Christian unity or interfaith, with members who were not Christian. The discussion came to a head at the General Assembly Meeting of The Vermont Church Council on November 9, 1968. Resolutions were presented to become either an interfaith or an ecumenical organization. At the end of the day, after much discussion, the majority voted to be ecumenical. This was the beginning of The Vermont Ecumenical Council and Bible Society (VECBS). The first leader of VECBS, The Rev. Howard Stearns, was hired as Executive Minister on March 1, 1969. The Council had six member denominations: American Baptist; Episcopal; Religious Society of Friends (Quakers); Presbyterian; United Church of Christ; and United Methodist. The Lutheran Church in America and the Roman Catholic Church were affiliates with voice, but no vote. 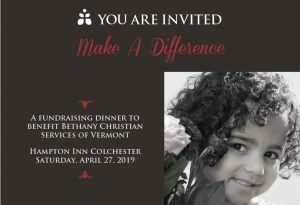 In its first decade, the work of VECBS included: supporting the start of hospice in Vermont; helping catalyze the development of Vermont Public Radio; sponsoring an election law reform bill which was passed by the legislature; sending out a regular Legislative Alert newsletter to churches and legislators; having a “Volunteers in Correction” program that led to the establishment of Dismas House in Burlington; and running a bookstore in Burlington. The Council did not connect in a meaningful way, however, with its member denominations, and did not receive the hoped-for level of support. It began to run into financial difficulty, and this became a financial crisis by the end of the 1970’s. The Rev. John Nutting became the Executive Secretary and served in this role from 1981 until his retirement in 1996. The next Executive was Phil Kimball, followed by The Rev. Len Rowell, then Linda Howe. Early in 2010, VECBS’s finances had diminished to where it was no longer possible to pay the Executive, so this position was eliminated. The remaining staff person, the Administrator, had limited hours. Through the years, the various ecumenical efforts did not receive strong support from the denominations. This led to eventual failure of the initiatives.